I’ve always been a huge fan of the photographer Elliott Erwitt. His photography is sharp, often very funny and captures a sometimes silly, sometimes ridiculous part of our human experience. His way of talking about photography is wonderful. He is a super pragmatic person who doesn’t go in for all fuss of talking about photography as if it’s some kind of sacred experience. He does, though, have extraordinary photographic talent, which has been honed over a 60-year career. So I thought I’d share with you some of the many things we can learn from him. After you read this I encourage you to look up his work and investigate for yourself. I make a point of learning from people I admire. It takes me out of my own little bubble of creative work, the hustle I do as a photographer and creative entrepreneur – and offers me interesting perspectives that are totally different to my own way of doing things. There are always very cool and interesting ideas to be sparked, new ways to do things, new thoughts and inspirations to be gathered from some of the amazing creative talents in the world. In this article, I’ve used some of my photos that are a little Elliott Erwitt inspired and paired them with some things you can also learn from this legendary photographer. Okay, okay, I know this sounds flippant and probably frustrating if you are knee deep in confusion about how to use your camera. But even though it can be challenging and difficult, your camera is a machine with very clear and logical instructions. That’s the easy bit. Learning how to compose interesting, unique photos, developing your eye for striking compositions, or bringing artistic and captivating elements into your images – those are the challenging parts! I think one of the reasons Erwitt is so successful is that he is totally an observer. He watches the world from a state of complete presence. I cannot overstate the importance of becoming an observer. We all do it! Then, with the small amount of attention we have left, we are looking at the world, but are so lost in ourselves that what we see is very limited, just tiny measures of what is actually there. Our brain processes billions of pieces of visual information every second (crazy right?!) but in an effort to make sure we don’t get overwhelmed, we only ever see a few hundred segments. So when we are lost in our own minds, our own thoughts, we are seeing even less. But when you decide to stop paying attention to your never-ending rush of thoughts and ideas and to-do lists and decide to become fully present in the world, fully aware of what is happening right now – then you will be truly observing the world. Notice the feeling of a light breeze on your skin, the harsh sunlight on your eyelids making you squint, the deep blue of the sky, the way the movement of undulating water is shimmering under the bright sun. You may notice people laughing in a cafe, a dog barking in the distance, the people walking past you with a rhythmic thud. The rolling drone of cars passing. This is what it is to observe the world – to step into the world of now. To step out of your mind and into the present moment. Elliott Erwitt’s photography is such an amazing display of observing. It shows that when you are in a state of observation, particularly of human beings, you’ll find gems everywhere. I like to think of photography in terms of balance. It’s always good to keep learning and developing your skills, but without practice, without getting out there and doing it – all the learning means nothing. You also don’t want to get stuck in the learning cycle where you never feel like you have enough information, or that you must learn more or upgrade your camera before you can take better photos. No! Nothing – literally nothing – beats just going out and actually taking photos. 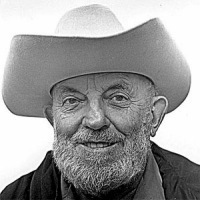 When I was starting out in photography I bought all of Ansel Adams’ books about Zone printing. I studied them and used them in my work. Through them, I become an excellent printer, both from film and then digital. I am pretty into technology, and I’ve never met a camera manual I didn’t want to read. But I do, however, have to agree with Elliott Erwitt here. Technical skill can help you capture the photo you see in your head. It can give you the tools to make a photo work, but it is not what makes a photo successful. There are examples of many famous photographers who were completely untechnical. Diane Arbus would say that if her camera stopped working she’d just press all the buttons until it started functioning again. Her portraits, though, are breathtaking. She used her ability to connect with people to draw out the most extraordinary expressions and portraits. So, although I love to draw on strong technical skills as a background for my work – I know it’s not what creates the magical elements, the je ne sais quoi, that makes an image interesting or memorable. I have seen more than my share of technically perfect, but instantly forgettable images, to know this to be true. Again it comes back to balance. My ideal goal is to have enough technical skill to be able to execute to my standard, and then focus on that emotion, inspiration, observer part of myself that finds the arresting scenes and subjects to photograph. Elliott Erwitt is a very prolific photographer. As well as photographing hundreds of advertising and commercial campaigns, he has produced more than 80 books and countless exhibitions. I love that he has done eight books just on dogs! Isn’t that cool? What that tells me is that you are only done with a subject when your passion for it fades. And Mr. Erwitt is currently 89 years old as of the date this article was published! If you still get excited about a subject, if you still want to photograph it – then you still have something more to say about it. As you get more familiar with your subject, your narrative, your feeling and your observations about it change. Things are always changing and developing with you, the world, and your creativity. I have been photographing London during the blue hour, sunrise hours, for almost 20 years – and I have never been bored in the city. Often I go to the same spots over and over (East London) and I always find something interesting, because it inspires me. So always follow that excitement, that inspiration – because passion never gets old. Elliott has taken some brilliantly absurd shots of people doing bizarre things. You would think that being in public would make people more self-conscious about their behavior. To an extent it does. But most of us aren’t as open as when we are alone. And yet people are always revealing themselves. It seems impossible to hold onto our mask, our veneer, as humans for very long. Especially when we think no one’s paying attention. This is one of the key tenets of street photography. Watch closely enough, and for long enough and someone will do something crazy or funny or weird. It’s just human nature. It’s the same with photography and all art. If someone feels something when looking at your photos, that creates much more of an impact and connection than a photo that simply looks beautiful or interesting, but doesn’t invoke any emotion. That is easier said than done right?! How do you go about doing that? How do you create a feeling in your images? The main thing is you, as the photographer, must be in a state of feeling first. If you are feeling bored by your subject, you will not translate an emotionally impactful sentiment into your photos. If you are looking at your subject and feeling, for example, deeply calm, then you are more likely to convey that feeling in your images. Now, I don’t want to say that happens automatically. Just because you feel something when you are taking the photo doesn’t mean it will immediately be translated into the image. It isn’t. It does require some technical abilities to be able to capture the image that you want – getting good exposures on your light, etc. But that is just learning and practice. The state of feeling – of always putting yourself in front of things that make you feel something – that is the thing that elevates your images overall. For example, I spent seven weeks in a castle in Tuscany over the winter and much of my time was spent wandering the hills and forests taking photos. One beautiful, crisply cold afternoon I came upon a deserted building. It was huge and looming, with a cold and scary facade. The gardens were overgrown, and nature had begun its reclamation of the stone statues and walls. It was really eerie. Although terrified of exploring it, I pushed through my fear and went inside. The whole time I was there I was anxious – too many scary movies perhaps running through my mind – and my photos reflect that feeling of fear. But that’s great because it works for the subject. The subject was scary and creepy. So my photos feel scary and creepy. A job well done, I’d say! As I mentioned, I spend a lot of time photographing cities at dawn – particularly in summer when sunrise is so early in many places that there is no one around. You really get to observe the city as it is, without crowds of people. So here’s the second example, above. I have hundreds of photos of sunrises, in beautiful places like Venice or Istanbul, that have filled me with awe. The combination of the sky breaking open from deep blue to explosions of pinks, purples, yellows and oranges and the incredible buildings and architecture in the cities is so exciting for me to experience. The feeling you get from viewing these photos matches the epic feeling I experienced taking them. I had a feeling of total awe while I was taking the photos. I capture the images technically well – but the impact comes from that feeling. In another example, I love finding peculiar things stuck on the ground or on walls. I love making funny compositions of odd shapes that you can find on pavement or the shapes created by torn posters. There are so many ways to play with shape, form, and texture in these subjects. To me the feeling I have when I find something like this is one of intrigue. I think that translates into the images I capture as well. So there are many ways to approach this sense of feeling. The most important factor is finding the things that exhilarate, intrigue, or inspire awe within you. The world is magical, things will happen regardless of what you do. In fact, the less you do the better. I find that the less you try to control the world around you the more effort you make to observe and be in that state of awareness. The world, and we humans, always do funny things. I spend a lot of time photographing some of the most photographed places on earth – cities like Paris and London. You might think it’s hard to capture something original in such over-photographed places, but that’s not the case. Most people are photographing the exact same things. A bit like how tourists are always to be found crowded around the same spots. The trick is to go (or shoot) in the opposite direction to everyone else. One evening I was on Westminster Bridge in London. There was a gorgeous sunset setting behind the Houses of Parliament. It was really incredible – lots of purples and pinks. On the bridge, hundreds of photographers had their cameras pointed at the scene. This is understandable, of course. Almost everyone will shoot the obvious shot, and not look around to see what else there is to photograph. This is another piece of Elliott’s simple advice that I love. Don’t overthink photography. Use your passion and instinct. Go out, take photos. Look at the world around you. Then shoot some more. Last bonus tip – be yourself! We each have totally different ways of seeing and capturing the world around us. I couldn’t emphasize enough the importance of not worrying about what everyone else is doing and just focusing on you! Your photos, your passions, your personal curiosity. That’s how you’ll create something unique and interesting. I hope this has inspired you to take a look at the work of one of my favorite photographers and given you some ideas for your photography. I’d love to know what you think of these gems of wisdom from Mr. Erwitt and the lessons I have interpreted from them. Please share your thoughts below.